There are 16 different blocks in this quilt. You have many options with each block layout. Some of the blocks offer you a opportunity to work with color, fussy cutting and color placement. 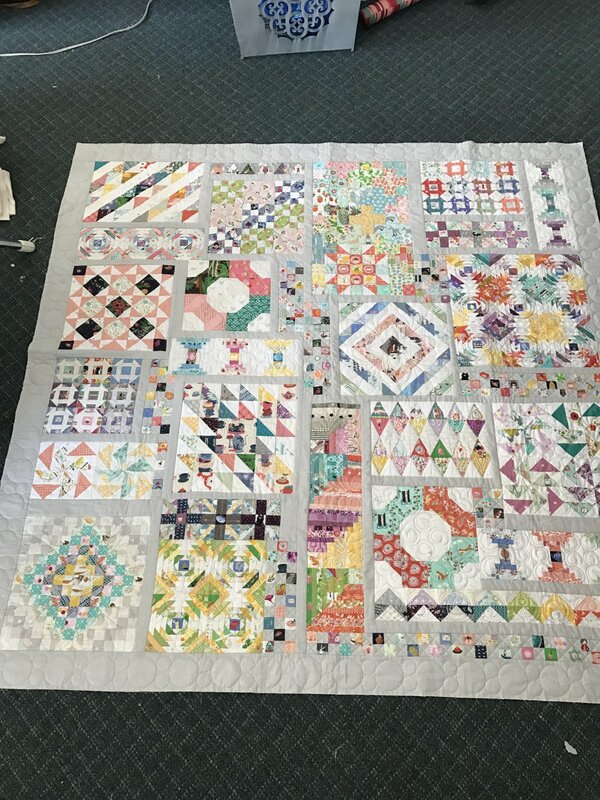 Grace has displayed her "extra" gene with the amazing fussy cutting she included in this quilt. Grace's quilt was voted 2nd Viewer's Choice at the 2017 Annie's Star Quilt Show. This quilt is hanging up in the show now. Supply list will be given at time of class payment. We offer a 20% discount for class fabrics, supplies and notions. This is a great project to do along with your other projects. It makes good use of scraps and gives you manageable milestones each month. Grace has notes for easier construction on each block.